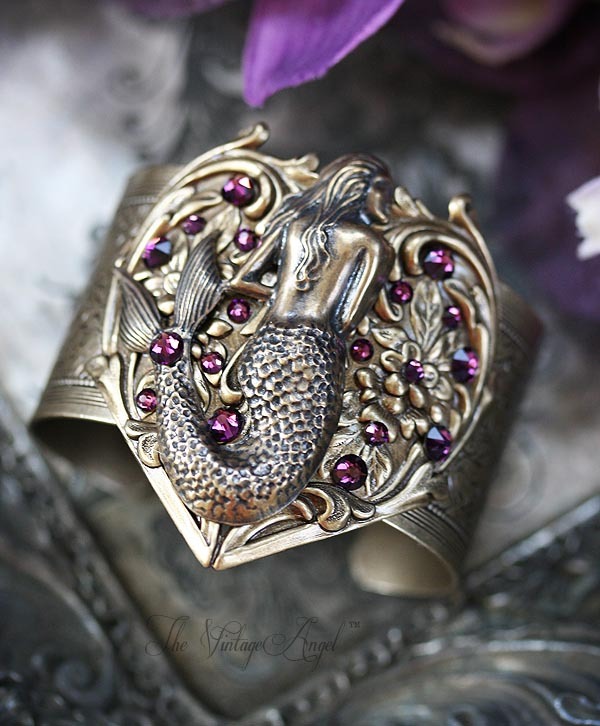 A whimsical, fantastic cuff bracelet with a mermaid flair. 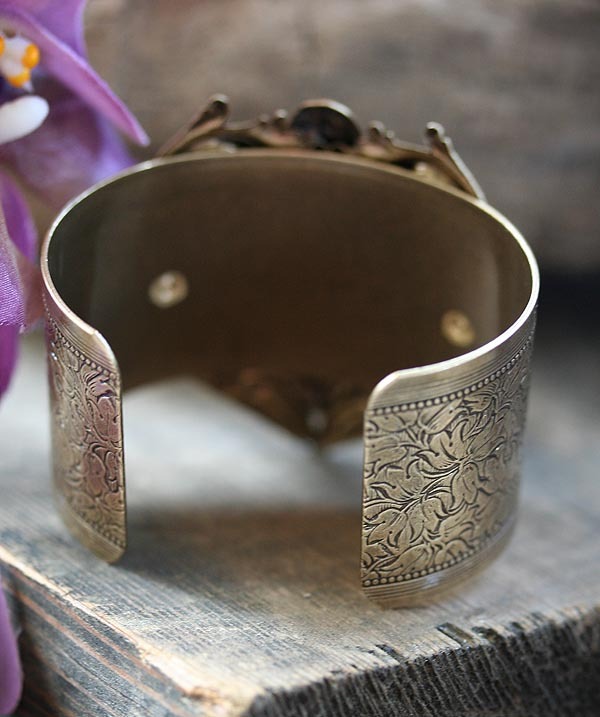 I've started with a 1.5" wide aged brass banded cuff with an etched, floral detail. 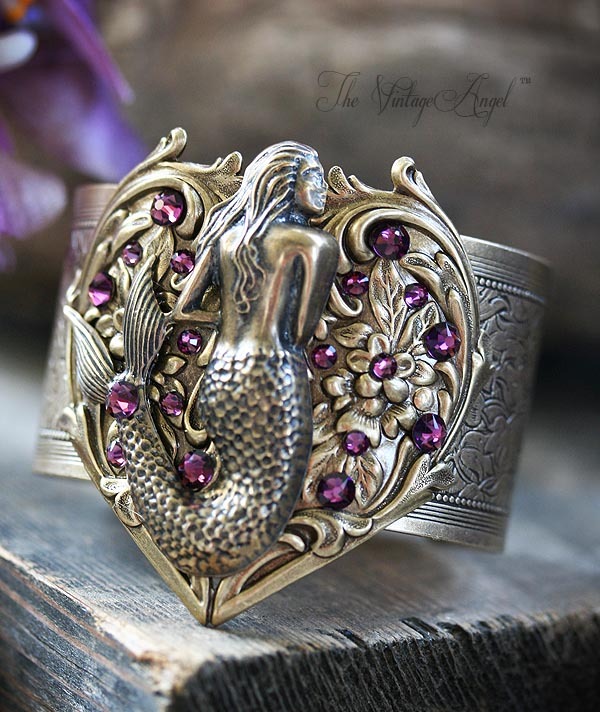 Layered on the cuff is a large and ornamental aged brass heart stamping with more floral details, topped with a gorgeous, art nouveau style mermaid in profile. 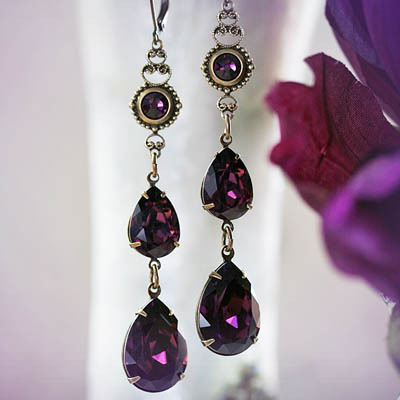 Amethyst purple Swarovski flatback rhinestone embellishments add a splash of color and sparkle.